What exactly is the Role of a Churchwarden? The rights and responsibilities of a Churchwarden(s) are laid down in Church Law, and as with most roles within a parish, it is a voluntary (unpaid) position. In the Middle Ages, the primary function of the office seems to have been that of taking care of the Church building and its contents, including the responsibility of providing for the repairs of the nave, and of furnishing the utensils for divine service. The Churchwardens then had custody or guardianship of the fabric and furniture of the church, and even today, they are the legal guardians of the church’s moveable goods, such as moveable furniture, plates and ornaments. They are required to keep an accurate, up-to-date inventory of these items. Over the course of time other duties were added, and Churchwardens became regarded in some respects as the local officers of the Bishop of the diocese, responsible to him for the proper carrying out of their responsibilities. Throughout their long history, Churchwardens have provided an excellent example of the advantages of lay participation in the life and work of a parish. 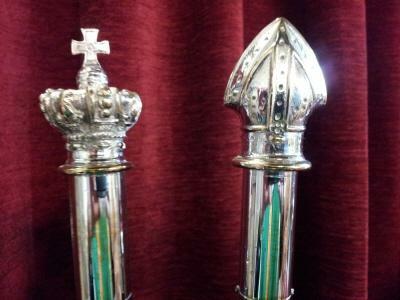 Most parishes today have two elected Churchwardens who are of equal status. In the past, wardens were of two types: The People's Warden, who was elected annually by the congregation as a whole (usually at the beginning of the Annual Vestry Meeting) and the Rector's Warden, who was usually appointed by the priest incumbent. In some jurisdictions (but not in England) where a parish temporarily has no priest, is not self-supporting, or in which the parish board has been dissolved, wardens are appointed directly by the bishop and are called Bishop's Wardens. The canons of some U.S. dioceses permit or mandate the election of all wardens, in which case they are usually referred to as the "Senior Warden" and the "Junior Warden." Wardens serve for a fixed term, usually between one and two years. Upon election, they usually automatically become members of the parish council committee, and sometimes automatically become delegates to the Diocesan Synod as well. Today, a churchwarden isconsidered the Bishop’s officer. The Bishop may consult with that person about issues affecting the parish during the year. It is also possible that the Churchwarden (s) will need to consult with the Bishop. If a Churchwarden resigns in the course of the year, they must write to the Bishop and not the priest-in-charge. Interestingly, in England, churchwardens have specific powers to enable them to keep the peace in churchyards. The following are punishable with a £200 fine. Any preacher duly authorised to preach therein, or any clergyman in holy orders ministering or celebrating any sacrament, or any divine service, rite, or office, in any cathedral, church, or chapel, or in any churchyard or burial ground. The churchwarden of the parish or place where the offence was committed may apprehend a person committing such an offence, and take them before a magistrate’s court. Until 2003, the offence was punishable by two months' imprisonment. The only areas in which wardens almost always have no authority, often proscribed by canon, is music and liturgy, which is considered to be under the exclusive authority of the priest or bishop in charge of the parish. Nevertheless in England churchwardens have authority to officiate at Morning and Evening Prayer if a priest or licensed layperson is unavailable. What Do Wardens Do in Church of England Parishes? 1. Wardens, together with the Incumbent and Vestry members, are responsible for all aspects of parish life. 2. Wardens must be available to the members of the congregation for information, complaints, or suggestions. 3. Wardens are responsible for the holding of regular services, and for the provision of all things requisite for Divine Service. If there is neglect or inability on the part of the Incumbent to perform his/her responsibilities, the Church Wardens must notify the Bishop as to the situation. 4. Wardens should be in attendance for the visitation of the Bishop or an Archdeacon. The duties of a Warden are outlined briefly in Canon 5.61. provides more detail. The primary concern of the Wardens is to do everything in their power to insure that adequate financial support is provided for the church and that the financial and physical concerns of the parish are efficiently managed. Wardens are responsible for the collection and receipt of all monies contributed to the church, and with the Incumbent, have joint responsibility for the disposal of all monies, stipends, and debts, and for keeping a complete record of all transactions. The Clergy's priority is the spiritual care of the Parish and, as much as possible, they should be relieved of such temporal concerns by the work of the Wardens and vestry. 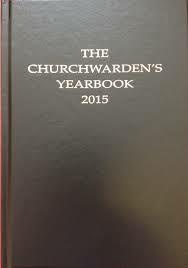 Wardens are responsible for the Minute Book of all parish and vestry meetings, and for the book containing all parish accounts and the annual balance sheets. It is required by Canon 5.111 to present to the Vestry for their approval and commendation to the Annual Meeting of Parishioners a budget setting forth clearly the expected expenses for ordinary maintenance, repairs and desirable improvements. The Wardens are responsible for maintaining a proper set of accounting records that reflect, at all times, the financial position of the Parish. The bank account (or accounts) should be under the direct control of the Wardens. Both Wardens should be signing officers at the bank, along with the Incumbent and Treasurer. If it is deemed advisable, the Vestry may appoint a Treasurer, BUT such an appointment does not release the Wardens from their responsibility for the finances of the parish. Two persons, one of who must be a Warden or the Incumbent, must sign all cheques. It is the duty of the Wardens to see that insurance coverage on church buildings is adequate in light of a recent appraisal by an independent firm in the business of doing property appraisals. The Wardens shall ensure that a register is kept in which shall be recorded the dates and hours of all services held in the Church, names of officiating clergy, number of those present, number of those communicating, etc. They shall also provide the Priest-in-Charge with a register or registers in which to record all weddings, funerals, baptisms and confirmations. The Wardens are responsible for ensuring that the number of those present at the regular services is entered into the register. The Wardens shall see that all things necessary for the proper and reverent conducting of the worship of the Church and the administration of the Sacraments are provided. In the absence of the Parish clergy, the Wardens should receive and welcome any visiting clergy or lay readers, visitors and newcomers and, if possible, obtain their names and addresses for the Parish records. The Parish, through the office of the Wardens, is responsible for the expenses and honoraria of clerical or lay supply during this month. The Wardens must report vacation plans of the Parish clergy to the Diocese, and ensure that the clergy actually take the vacation they are entitled to. If a vacancy occurs, the Bishop and Archdeacon will confer with the Wardens and the Vestry or Parish Council with respect to choosing a new Incumbent. Wardens are responsible, jointly with the Incumbent, for the care of all property of the Parish including the rectory and grounds and any other buildings on the grounds, ensuring that all property is kept in good repair and insured. Wardens should keep an inventory of all property grounds, buildings, and contents. The post of Churchwarden incurs a high degree of responsibility, from both a legal and administrative aspect. It is a key position within the Parish and greatly contributes to the smooth operation of all aspects of the church. Please support the Churchwardens in their endeavours to carryout the duties of this ancient office.